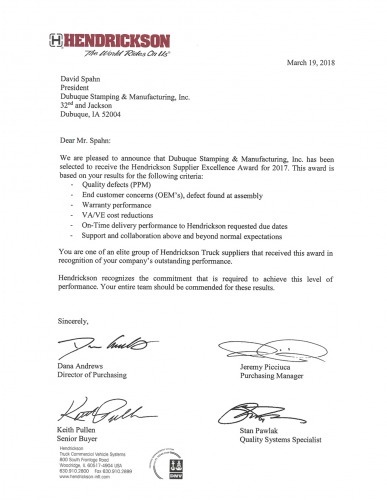 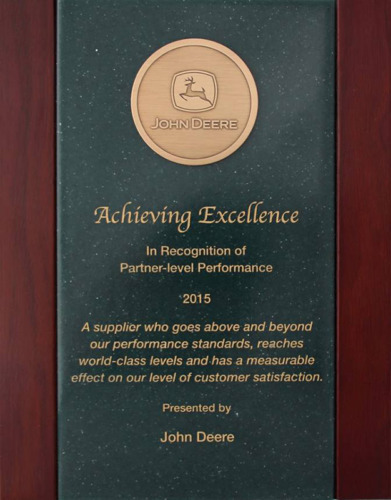 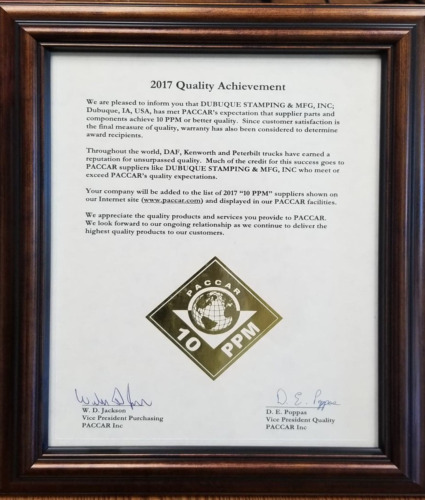 Awards and Certifications » Dubuque Stamping & Manufacturing, Inc.
Our customers have recognized us for product excellence and/or superior partner performance. 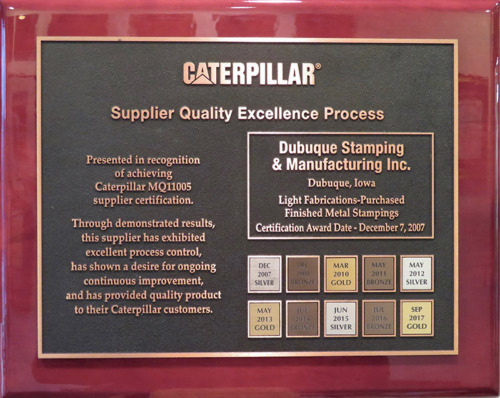 Our commitment to excellence at Dubuque Stamping and Manufacturing, Inc.& Manufacturing, Inc. is second to none and ISO 9001:2015 certified. 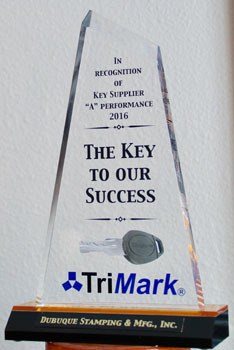 We have been in business making and delivering high quality metal components for our customers since 1948.